**OPEN HOUSE Sunday March 24th from 1pm-3pm** 3-bedroom stone-front rancher situated on a quiet block in sought after Winchester Park that has been loved & well cared for by the original owners for the past 65 years. Arrive and you will immediately fall in love with the beautifully landscaped grounds. Enter to find a spacious living room with an array of natural light and leads to 3 spacious bedrooms, all with adequate closet space, as well as a 3-piece ceramic tile bathroom with stall shower with new surround, vanity & toilet. The remainder of the main level hosts a eat-in-kitchen, separate laundry room with washer & dryer that are included, a large rear addition with wood burning stove and exits to the fully fenced rear yard. In addition, there is an attic with pull down stairs that is floored and can be converted to additional living space or bedrooms, or can be utilized in its current state as storage. Additional features are beautiful hardwood floors under the carpet, storage shed with electric, replacement windows throughout, updated electric, newer roof, water heater, heater & central air, driveway that provides off-street parking for 4+ cars and the list could go on. 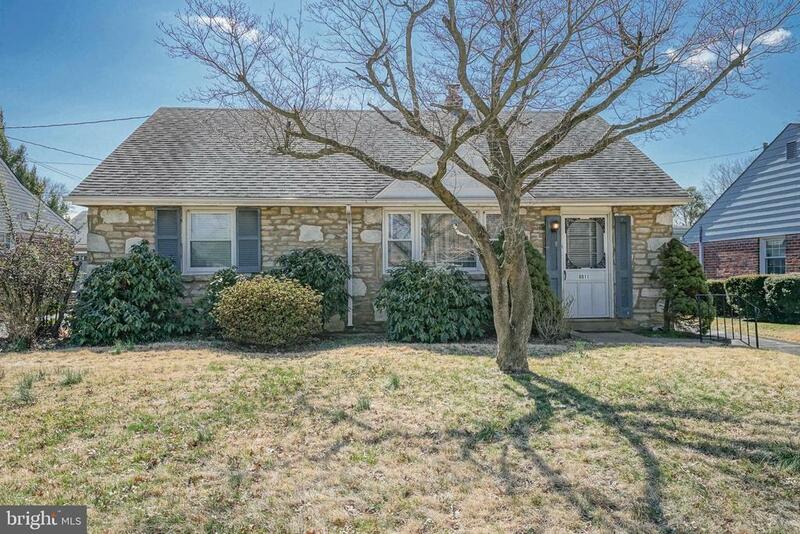 Truly a well-cared for home in one of the most desirable neighborhoods in the city. Conveniently located within walking distance to shopping, restaurants, St Jerome school and Pennypack park. Inclusions: Refrigerator, Washer and Dryer all in "as-is" condition with no monetary value.